Are you being harassed by debt collectors? You have rights and we can help you assert those rights under a law called the Fair Debt Collection Practices Act (FDCPA). 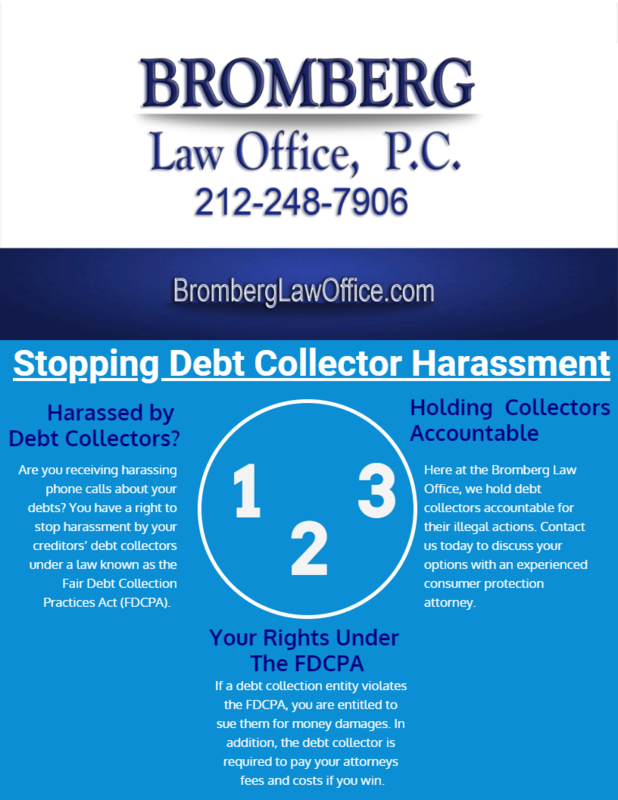 The infographic below highlights some information about the FDCPA and how we can help you stop the harassment by your debt collectors. Call us at 212-248-7906 to schedule a free consultation.